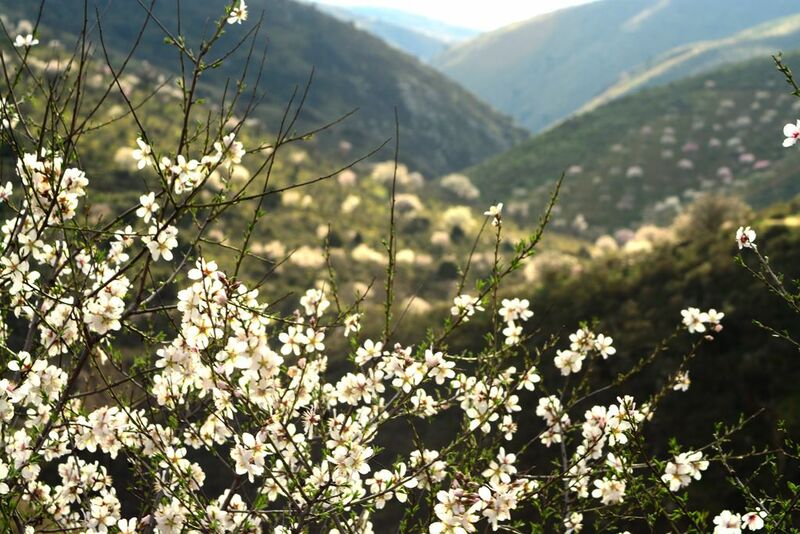 Spring is arising in Western Iberia rewilding area with spectacular scenery and beauty to be witnessed and enjoyed, as almond trees bloom creating a white coat that covers the steep slopes of the Côa valley. A white coat covers the Côa valley, as almond trees bloom. Migratory birds are returning from Africa for the breeding season in the valley, and while some are incubating their eggs, others already have chicks in their nests! The monitoring season of all the wild species in the Côa valley started in February, and there is much to be shared. 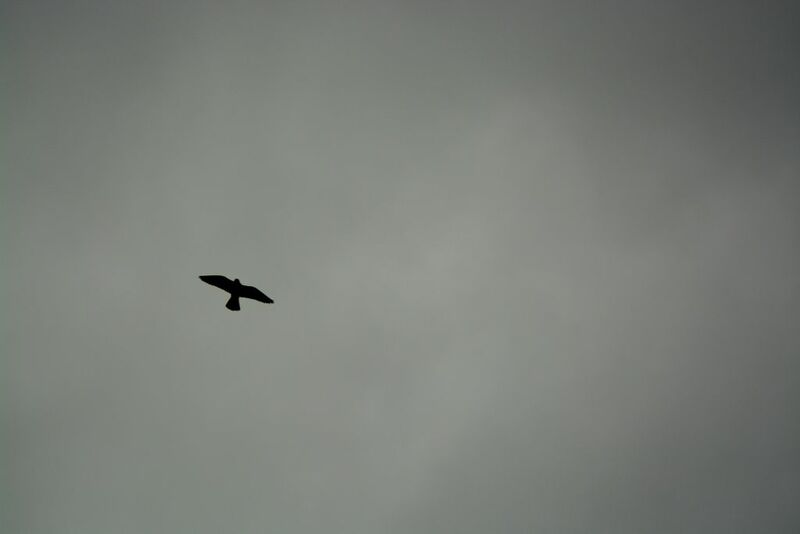 A Peregrine falcon crosses the sky looking for places to breed. During these first days of spring, there is a huge bustle in the valley, as dozens of birds scour the landscape looking for places to breed, like the resident pair of Bonelli’s eagle, that nest here every year. The golden eagle has already chosen its place, prepared the nest and is now incubating, while the griffon vulture that started breeding in January, already has chicks in the nest. Various migratory birds have already returned from Africa, after a winter much warmer than ours in the Côa valley. Species like the short-toed eagle, booted eagle, black kite, cuckoo and various swallow species can be seen and heard in the valley. However, the most important species to highlight due to their conservation status, are the Egyptian vulture and the black stork, that have often been seen in the Valley. ATN (Associação Transumância e Natureza), the local manager of the Western Iberian area, has an ongoing campaign for the conservation of the black stork’s habitat, and anyone can contribute by sponsoring one of the temporary pounds at the Faia Brava reserve. Take a look here. Also, the red-partridge can be seen in pairs across the entire valley. They are ready for another season, with dozens of chicks, which is great news for the Bonelli’s and golden eagles, whose survival depends on the availability of this species, and others, like the hare, rabbit and pigeon. 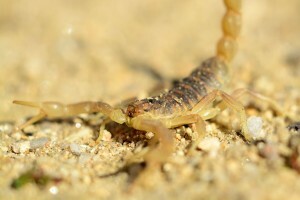 One of the tiny species that can be seen at the Côa valley. Other species, which are less common, have also been seen, like the Northern goshawk, Peregrine falcon and black vulture. Besides birds, each day it is possible to witness a huge biodiversity of species that choose this wild valley to live, from small scorpions and butterflies, to lizards and amphibians, that already woke up from their hibernation. We are anxiously waiting further observations. Until then, grab your walking boots and your camera, and come to enjoy spring in Western Iberia! Read more about the Western Iberia and plan your rewilding holiday there. Follow the Western Iberia Facebook page.